Summer Series where we learn to stand up for ourselves, connect with others and get what real friendship is all about! Through creativity, laughter and fun! 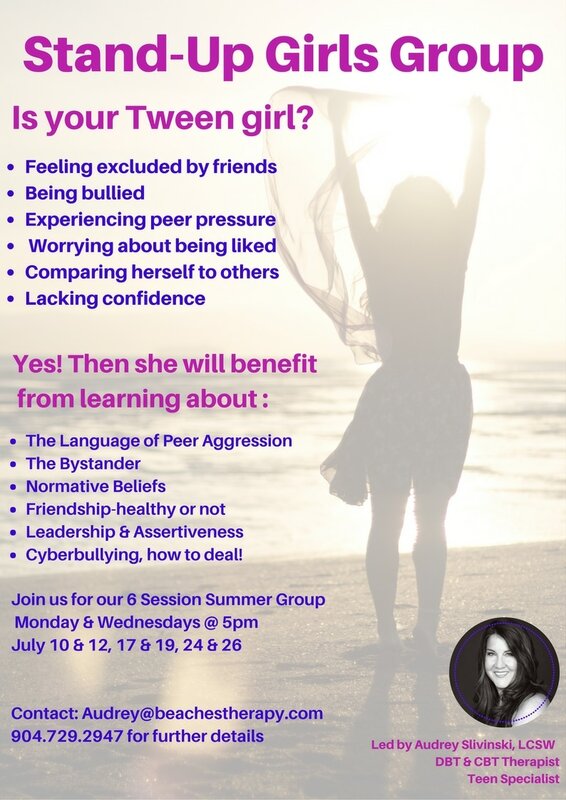 Summer Series with limited spaces! Join us for this limited time offered group! Cost: $250 ($50 discount) for the 6 session series or $50 per session. ​I will happily provide documentation for you to submit to your insurance company for possible reimbursement of code 90853.